Other Info: Features the talent of Makoto Ogino. 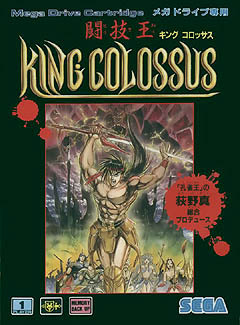 This game is also known as "Tougi-Ou: King Colossus". Do you like the Genesis? Do you like RPGs? Do you like RPGs that are cheap? If you answered yes to any or all of those, you might want to pick this bad boy up. 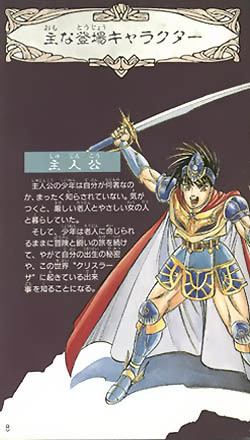 A game that you may not have ever heard of, but it's actually one of Sega's solid RPGs. 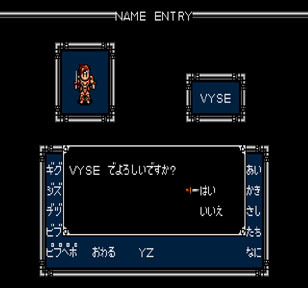 Based on the story and characters created by Makoto Ogino (Who did the story and art for Kujaku-Oh, Oboko, Onryouji, etc. ), you are a young man raised by a wiseman. Your young hero was supposed to guard a special sword, but the hero let it get stolen! The wiseman is naturally angry at you for letting it get taken, so now you must hide your shame and get the sword back. Since your nameless pal just so happens to have skills with the sword and with magic, you must journey away from home to rid the world of evil and do numerous other non-related good acts on the side. The plot isn't anything you haven't heard before, but there is one and that's good enough for me! 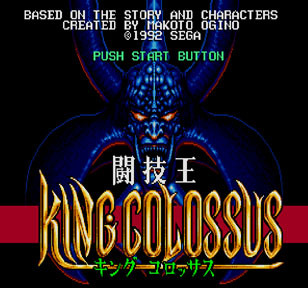 I hear that King Colossus is a port of some 8-bit game, but I don't know the exact details on that at this moment. The graphics for this game are pretty good. 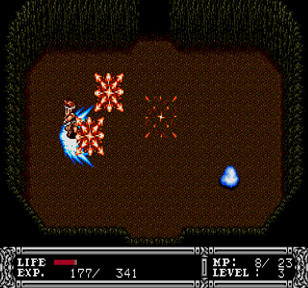 The color usage is fairly good with decent animation in the spells you cast and from the movements of enemies. It's not perfect, but it's good for 1992. One effect I like is the use of shadows. They aren't realistic or anything, but when you cast a certain spell, orbs of energy gather towards the hero. 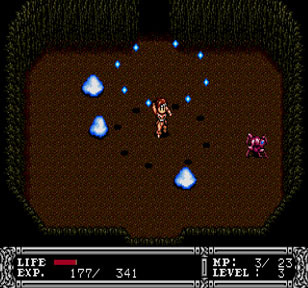 As the orbs are coming towards the hero, you can see the shadows they cast over the ground. Certain enemies are also quite detailed so you get the whole package in terms of graphics. The music for the game is also quite good. Some of it is olden day stuff, but it's done in a way that makes the game feel like a classic...not old in the sense that it's just four notes looping without end. The music composers gave the music a stylish feeling regardless of what type of music they made. Whether it was meant to be sad or more upbeat, the music was solid. The gameplay is pretty simple. You move around and fight freely, like a hack-and-slash RPG. Unlike games like Zelda, however, you have click and pick destinations. 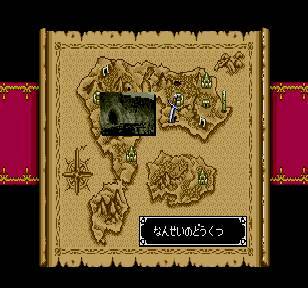 What that means is if there is a castle a short distance away, you can't actually travel to the castle. You would pick the castle on a map and just end up there. This is both a good thing and a bad thing. It just depends on the game. For this game, I like just getting straight to the action whereas in Zelda, I might be wounded, so instead of heading straight to my destination, I might cut grass to gain hearts and rupees and stuff like that. 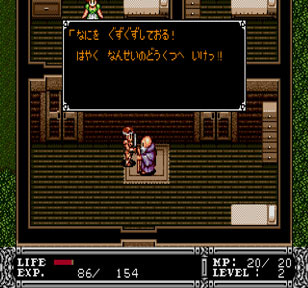 You have typical RPG elements such as items and you will gain various equipment and such throughout the course of your journey that vary in effectiveness and range. Anyway, King Colossus has one button for sword attacks, one button to jump, and one button for magic. The magic your hero has is pretty useful, but use it sparingly, since spells are limited. One spell stops time, another makes him instantly exit dungeons...so on and so forth. Everything is pretty good. My main complaint with King Colossus is that it is a bit too short for my tastes. Otherwise, this is a solid game in all other categories. The game is cheap and easily obtainable. It's just a shame that I had more trouble than I expected finding out more about Mr. Makoto Ogino.